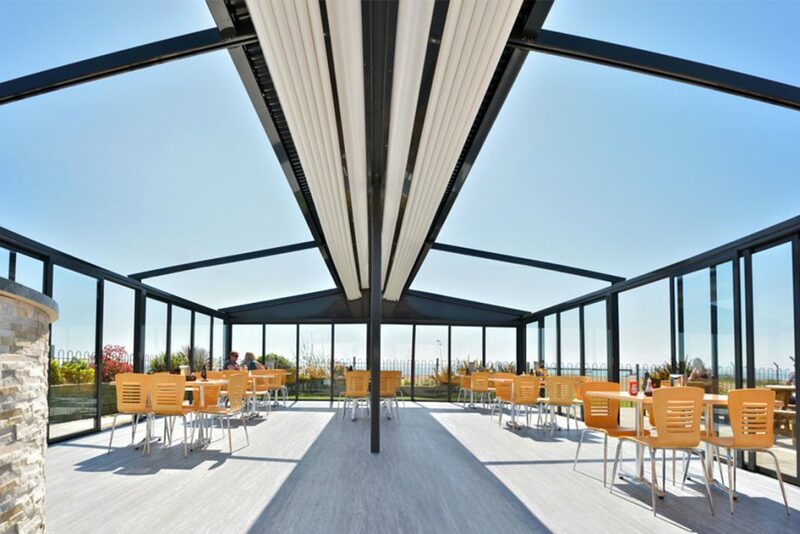 Dorset shading specialists Broadview recently designed and installed a Sunrain outdoor structure for Bayside Cabin, a beachside café in Gosport, Hampshire. 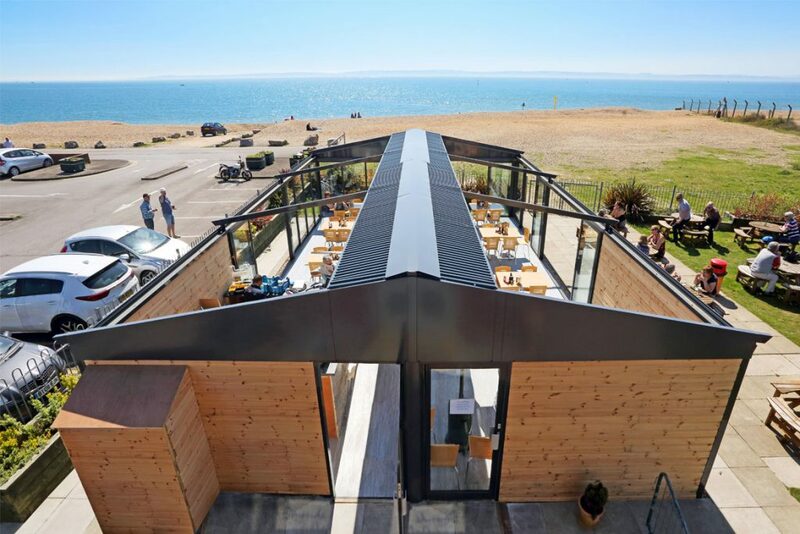 Having seen a previous Broadview installation for another hospitality business along the South coast, the owners of Bayside Cabin in Stokes Bay approached the Poole-based team for a similar structure that would offer them increased seating, as well as a unique and flexible space that could be hired out for weddings, parties and private functions. 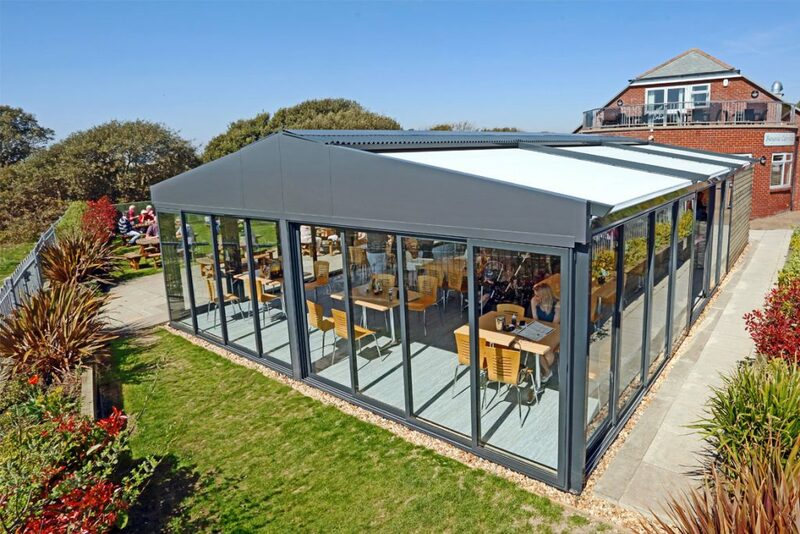 Following an on-site consultation, the Broadview design team recommended a bespoke Sunrain structure to give them the look and feel of a marquee. Measuring 12 metres x 10 metres and boasting a fully retractable roof that retracts back to a high centre point to give the illusion of a marquee, the space has not only provided increased covers on a daily basis with the option of AL Fresco dining on fine weather days but also a perfect space for weddings and special events. Integrated LED spotlights with dimmable function were also installed to give the space a bespoke ambience and personality for use during evening celebrations. 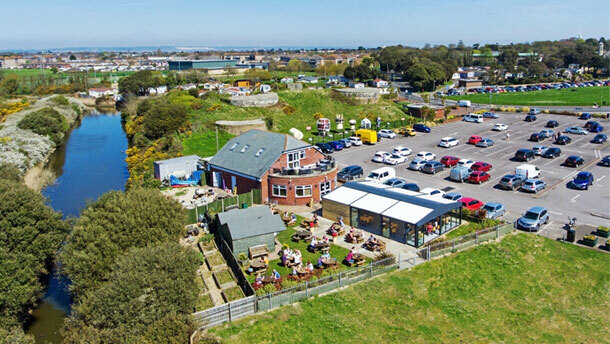 The owners of Bayside Cabin are thrilled with their new additional space and the project has become a showcase for Broadview to show other hospitality businesses just what can be achieved with an outdoor structure. Broadview’s commercial division designs, supplies and installs a wide range of interior and exterior shading, and graphic solutions for commercial clients. 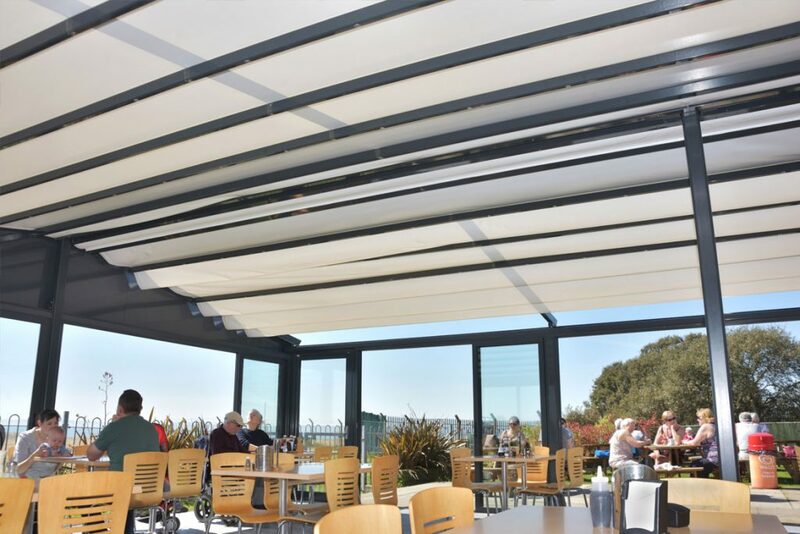 Working with a broad range of commercial clients including hotels, pubs, restaurants, cafes, retail outlets, offices and schools, Broadview have built an enviable reputation as being one of the leading bespoke outdoor shading solution providers in the country.